What better way to get to know this beautiful island with its colorful history and charming culture, breathtaking views of Caribbean beaches, ocean panoramas, tropical vegetation and some of the best Duty Free Shopping in the Caribbean. Your narrated tour makes stops at scenic overlooks on the way to Blackbeard's Castle. Step back in time at Blackbeard's Castle (self-guided tour) with the world's largest collection of copper & bronze life-size Pirates, sample the rum in the Rum Museum (you can buy some in the gift store), Britannia House & Haagensen House have docents to tell you more about colonial life. Don't miss the Dinosaur footprint in the Amber Museum and the spectacular Amber Waterfall and historic Hotel 1829. The tour brings you to the heart of Charlotte Amalie and all that Duty Free shopping. Guests kick off their shoes, step on board and relax in good company, with light hors doeuvres and an open bar. They will enjoy the warm gentle breezes and the glorious Caribbean sunsets as a finale to a fun day of group activities or as a prelude to going out to dinner. Spend the day sailing around the Virgin Islands. 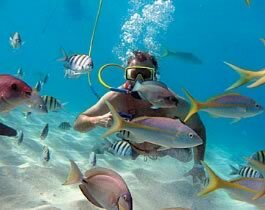 Explore tropical reefs, swimming and snorkeling in crystalline waters with myriads of exotic fish and marine life. Enjoy lunch in an exotic location, aboard your boat anchored in a secluded bay, on the warm sands with your toes in the waves or in a beach shack. Sail some more, relax, you're on island time- this is Limin'. The meeting's over - it's time for your group to get sailing and have some well-earned fun. They will enjoy a leisurely sail with a stop to swim and learn to snorkel. With an open bar and snacks - what an enjoyable way to spend the afternoon or morning. 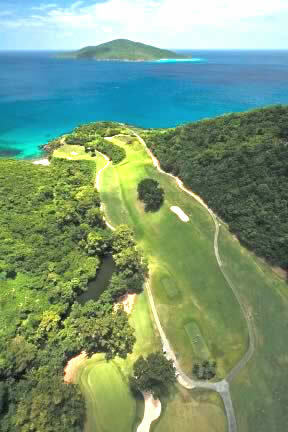 Mahogany Run Golf Course is a challenging 18-hole course; with tees perched high on cliffs that plunge dramatically to the Atlantic Ocean crashing below, the demanding Devil's Triangle and other unique features will test your golfing skills. Golf tournaments can be arranged as a group activity. Coral World Ocean Park, brings you up close and personal to the beauty and magic of Caribbean marine life. Here you will experience what may be a once in a lifetime opportunity to touch a shark, hand feed a stingray or watch newborn seahorses learn to swim. In addition to the many interactive exhibits, there's also an array of water activities. Park open to the public from 9am-4pm daily. Imagine a magical meeting with a playful sea lion. 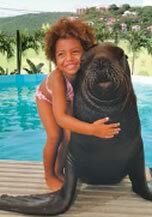 This program was created especially for you and the sea lions to share a series of thrilling activities while establishing a unique bond. You will have an opportunity to touch, pet, and play games with the sea lions as they demonstrate their amazing agility. 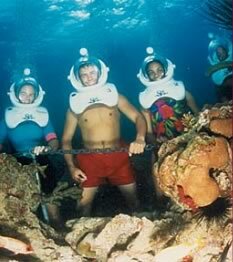 Sea Trek is the world's premier underwater helmet diving experience. Imagine walking in zero gravity while surrounded by incredible aquatic life - that's Sea Trek. The helmet provides the air, weight and stability to walk upright under the water. Gloves and booties provide extra comfort. Your head and hair stay completely dry and you breathe normally inside the helmet. Fish and other sea creatures swim right up to your visor. Join two of our rescued Green Sea Turtles for an awesome experience in their home by the sea. Get closer than you ever could in the wild. You will learn about the biology of these beautiful creatures and the threats they face in the wild. Your guide will then take you into the Turtle Pool where you will get a close up look at every part of these 100-pound plus turtles and even have a chance to scrub their shells or Carapaces. No cages, no barriers, just you, a guide, and a dozen of the most awesome sharks found anywhere in the Caribbean! The Shark Encounter begins with a briefing on sharks by a staff biologist including the truths, myths, habits and behaviors of these ancient creatures. Then you climb into the Shark Shallows Pool home to over a dozen juvenile lemon, blacktip, and nurse sharks accompanied by your guide. Observe marine life from as close as two feet! And you can touch a baby nurse shark. Tour takes approximately 40 minutes including a 20 minute briefing. Want a diver's view of a coral reef, but not ready for scuba? Then try Snuba! Explore the beauty of the undersea world without cumbersome scuba diving gear. A certified Snuba guide will lead you on your adventure. 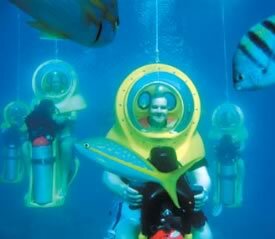 Upon arrival at Coral World Ocean Park, you will be escorted to the Snuba orientation area where you will receive a briefing on how to use the equipment and what you can expect on your dive. Enjoy a 45 minute fully narrated underwater tour aboard the air-conditioned Nautilus semi-submarine, part boat and part submarine. From your own large viewing window you will see schools of colorful fish, a vibrant coral reef, and seagrass beds, home to turtles, stingrays, and conchs. This tour departs from the Coral World dock. This 700 hp turbo-charged jet boat takes you on an unforgettable ride slicing through the clear Caribbean waters. 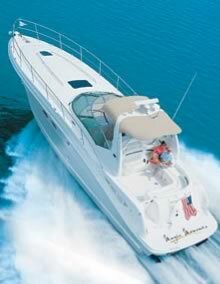 While on your 40 minute cruise, you'll make exciting 180 degree turns and fishtail in this vessel built for speed. If you want to try something truly exhilarating, experience the challenge of reeling in a Tuna, Mahi Mahi, Wahoo or the unforgettable Marlin. 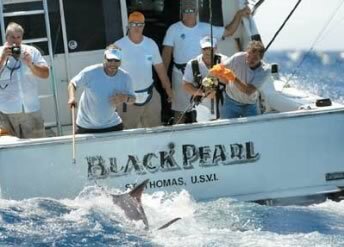 Expert help is on hand; local deep-sea fishermen have been dueling these worthy opponents for years and know all the secrets to a great fishing trip. Half or full day trips and Marlin trips (when in season) are available. Another wonderful option is to get out there and explore the islands. With a number of different destinations within easy reach - from deserted to fun and funky - there's something for all to enjoy. Knowledgeable Captains are available for the less experienced boaters. Each captain has their own 'best kept secret' places to guide you to. Treat yourself to a true Luxury Excursion - for guests who want to discover "the heights of luxury at sea level." Offering 1st class service, gourmet food and drink, all aboard a luxury yacht, get away from the crowd to carefully selected destinations in the British and U.S. Virgin Islands. This is a vacation experience you will never forget - infuse Magic into your day and create a Moment so special, it will last a lifetime. Get up close and personal with nature on this 2.5 hour guided kayak adventure of the Mangrove Lagoon. Combine the fun of kayaking, while learning a little about the natural history and ecology of the mangrove lagoon, with an opportunity to snorkel. Experience is not necessary, as instruction will be given on how to use these two person kayaks. All you need is a bathing suit, reef walkers or shoes that can get wet, hat and sun block. A unique, multi-eco experience - Kayak among the many small islands of the Inner Mangrove lagoon. Stop and learn why the Mangrove Ecosystem plays a crucial role in maintaining healthy offshore coral reefs, reef fish populations, and shoreline stabilization. Hike the pristine, deserted 15 acre island of Cas Cay, in the Virgin Islands Park System. Enjoy many breathtaking views from coral and shell beaches, at the base of volcanic cliffs and marine tidal pools, complete with a rare geologic blow hole. Snorkel a coral-fringed mangrove nursery with easy beach entry in the clear protected waters. Guides offer snorkeling instruction, point out the marine life and interpret the diverse mangrove ecosystem. The Virgin Islands has excellent dive operators who offer an amazing choice of quality dive sites for all levels of experience from beginner to advanced diver. For beginners an Introduction to Scuba gives you an opportunity to experience this exciting sport with some expert instruction and guided dives. Talk about a tour with a difference. This tour is a blend of George Jetson and James Bond! It's fun driving your own personal underwater motor scooter and you don't need any dive experience, no bulky tanks, no masks, and no fins! The bubble is part of the scooter. You duck into it, breathe normally and see everything around you. And there is much to see - schools of tropical fish, coral and an ever-changing array of sea-life, which your guides will make sure you don't miss. The custom vessel takes you to and from the dive site and also offers spacious sundecks and shady covered seating areas and time to swim and snorkel. St. Thomas Skyride whisks you 700 ft. above the town of Charlotte Amalie. As one of the "must do" attractions in the Caribbean, the Skyride carries 24 passengers every seven minutes along its 8 tower ascent of Flag Hill. Once you "Ride the View" to Paradise Point the true meaning of limin' is revealed, high above the hustle and bustle of St. Thomas Harbor. Two hour introduction to SUP (Stand Up Paddle Boarding).This is the fastest growing water sport on the planet, mostly because it's easy to learn with proper instruction, almost anyone can do it and it's tons of fun. Tour includes expert instruction, equipment, and guided tour. 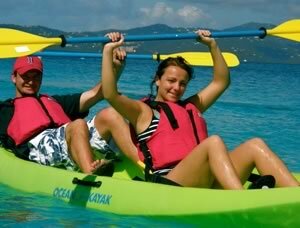 A great way to experience the beauty of the Virgin Islands with a higher vantage point, you will see the reefs, tropical fish, Stingrays, Turtles and other marine life. 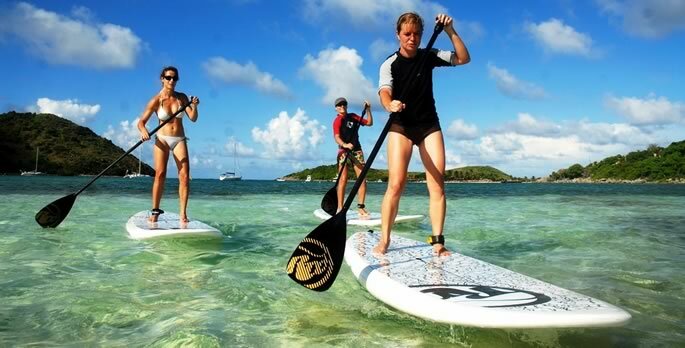 Let your first experience by fun, safe and successful guided by knowledgeable and friendly certified instructors (members of the VI SUP Professional Racing Team). Ready to give SUP a try? This activity is also available on St. John. Get a bird's eye view of the islands. The tour flies over some of the most beautiful islands from both the U.S. and British Virgin Islands. See the extraordinary variation in the colors of the sea from iridescent aquamarine to deep blue, gaze at soaring peaks and lush valleys, and view bustling towns to deserted cays. 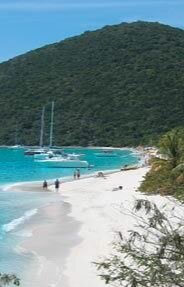 A fun active tour is a mountain bike ride on little Water Island, located in Charlotte Amalie harbor. With no traffic on the island this guided tour winds along country roads, stopping at scenic spots to enjoy the ocean views, beaches and many points of interest. The bike tour ends at a wonderful beach where you can enjoy a refreshing swim. A short scenic round trip ferry ride to Water Island through the harbor offers views from the water not seen on land-based tours. Another option is a fun day visiting our smaller sister island. From the ferry ride to the sightseeing tour you have a treat in store, where the view at every turn is more outstanding than the last. Two thirds of St. John is National Park and within its boundaries are panoramic views, world renowned beaches, archeological digs, pre-Columbian petroglyphs, a number of plantation ruins - Annaberg Sugar Mill being its most famous - visited on the tour. Add time to enjoy one of our marvelous beaches, it's difficult to beat this day. Snorkel gear for rent, snack bar, shower & changing facilities at beach. 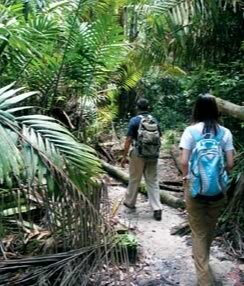 Hiking and Nature Trail Tours on St. John. On St. John, trails are not to be missed. Occupying two thirds of the island, the National Park offers an amazing diversity: beaches and shorelines, leafy trails, historic ruins, archeological digs, pre-Colombian petroglyphs, gentle hikes or more arduous treks, tropical plants, animal and marine life. Local guides will share their knowledge of this natural wonderland. Add a refreshing swim and snorkel to make this a perfect eco-tour. The Baths. This tour takes you directly to the "Baths"- a labyrinth of house-size boulders, grottos, pools and walkways on the island of Virgin Gorda. The leisurely pace on a spacious double deck vessel is perfect for those who want a relaxing day enjoying the stunning scenery. Then it's off to Norman Island for a great snorkel stop and an opportunity to explore the Caves. 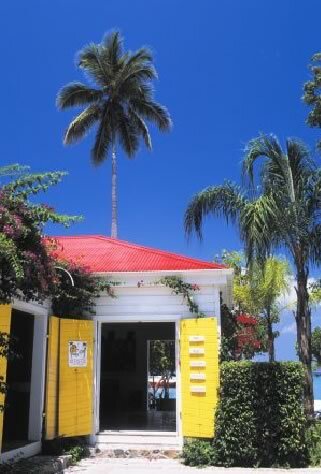 PASSPORTS REQUIRED including U.S. citizens - Non U.S. citizens must also have, if necessary, appropriate U.S. visas to clear customs returning to the USVI. ).